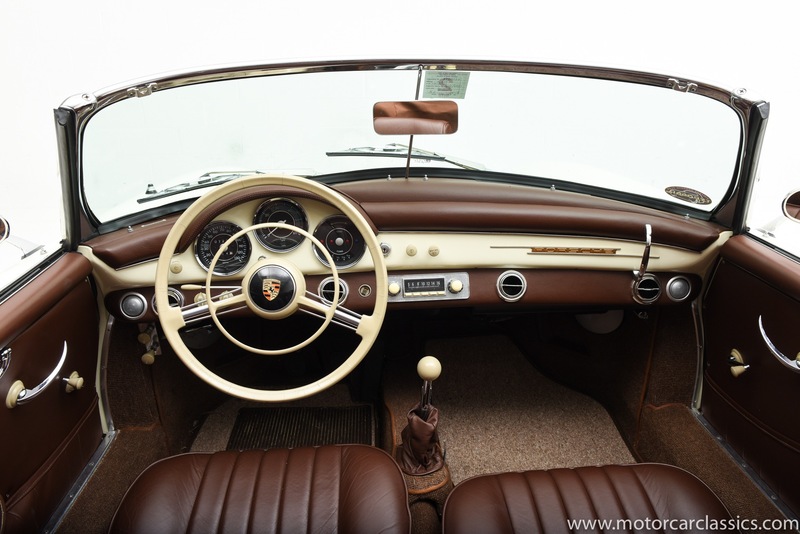 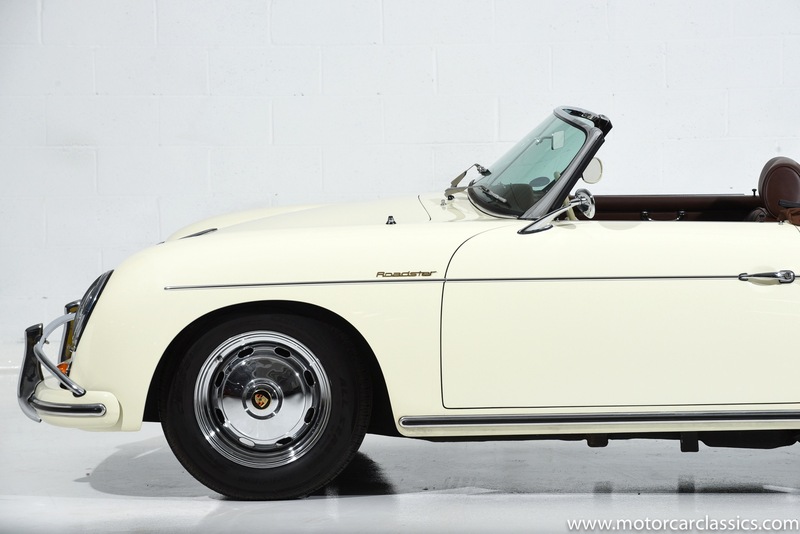 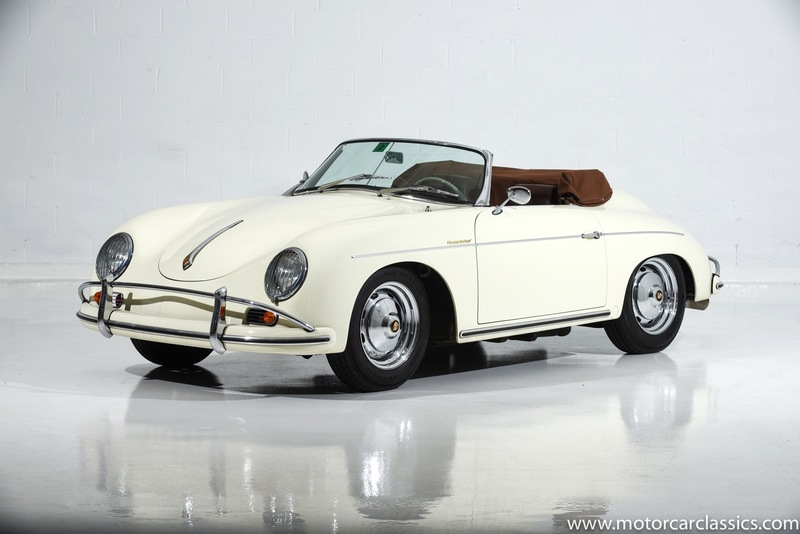 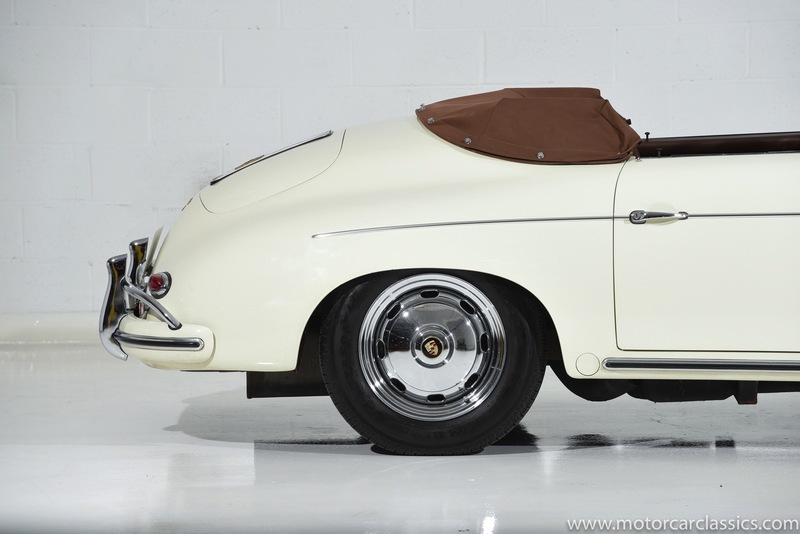 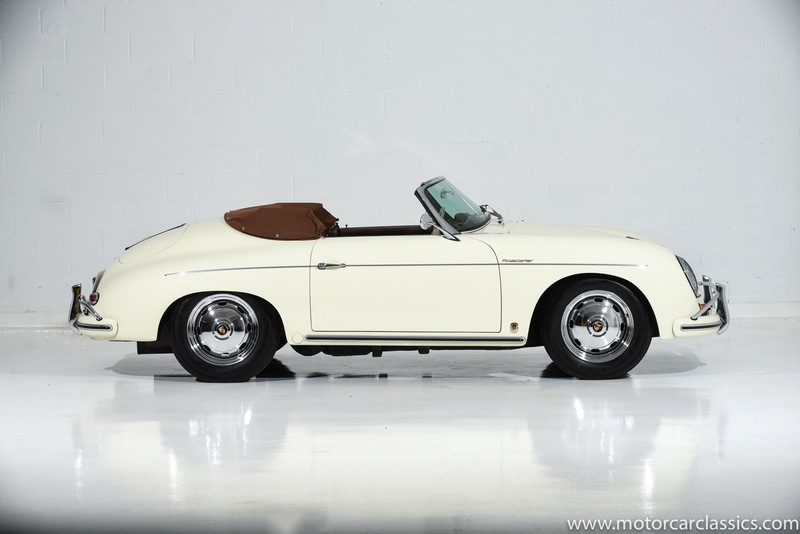 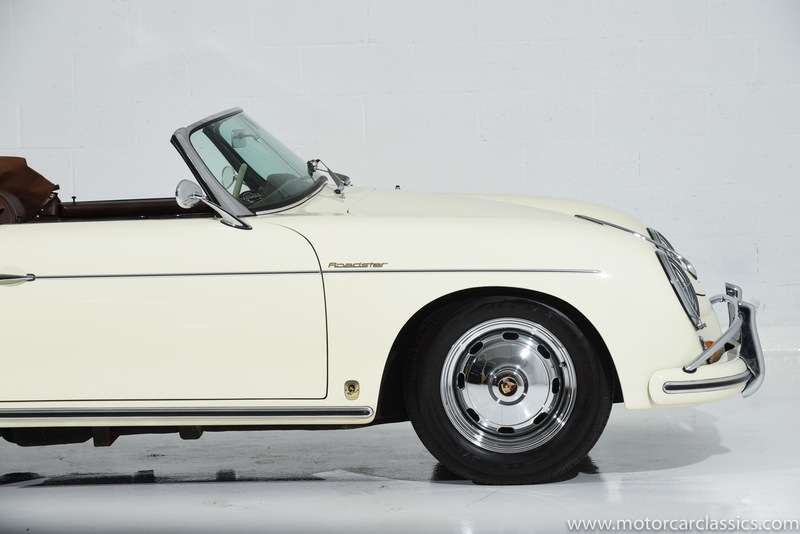 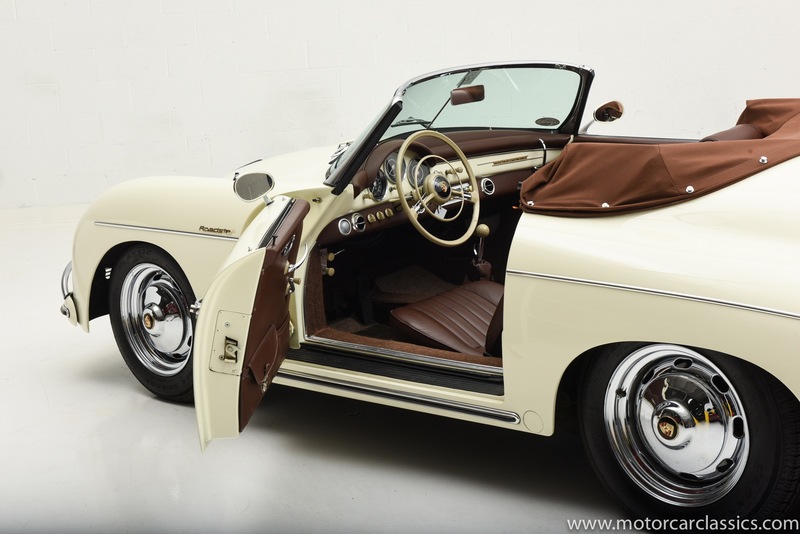 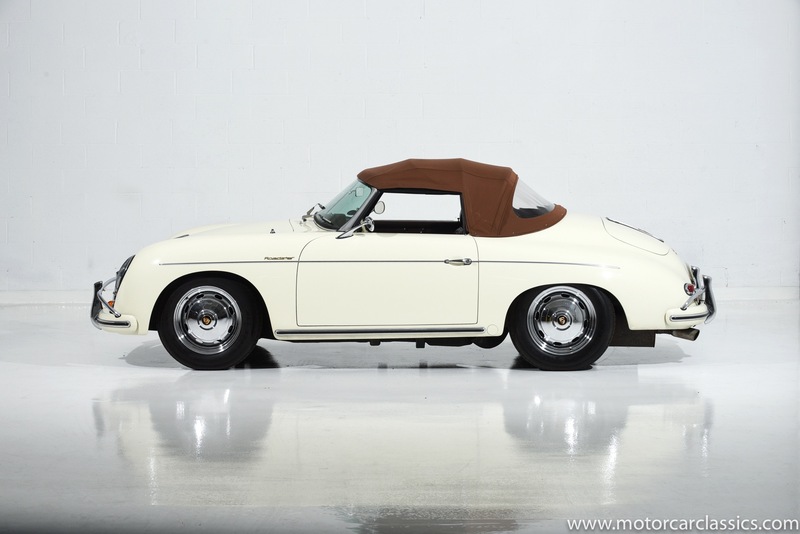 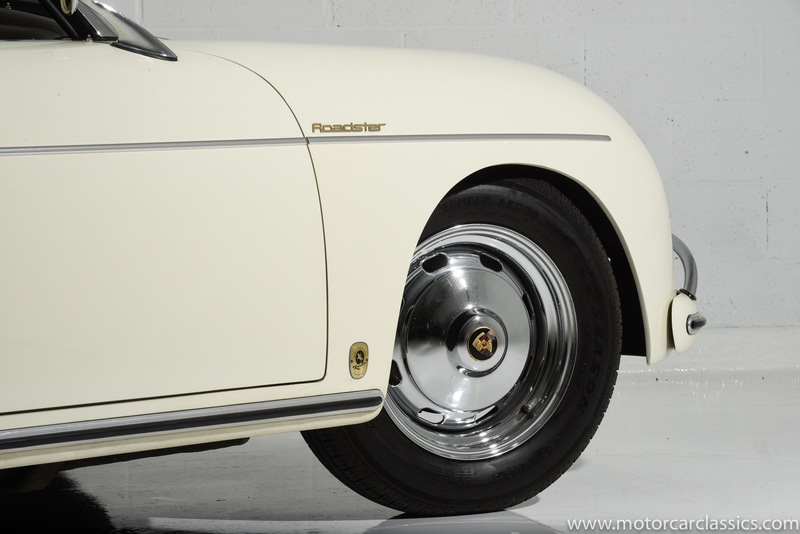 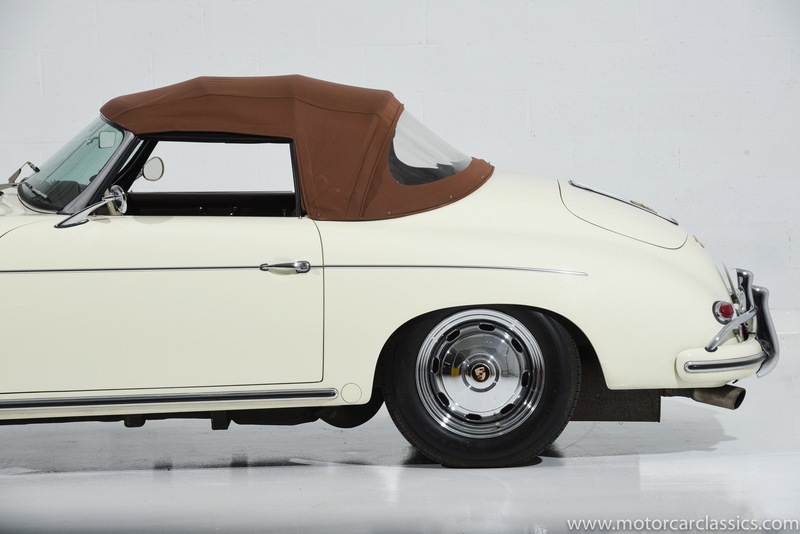 1959 PORSCHE 1600D CONVERTIBLE REPLICA BY INTERMECCANICA for sale. 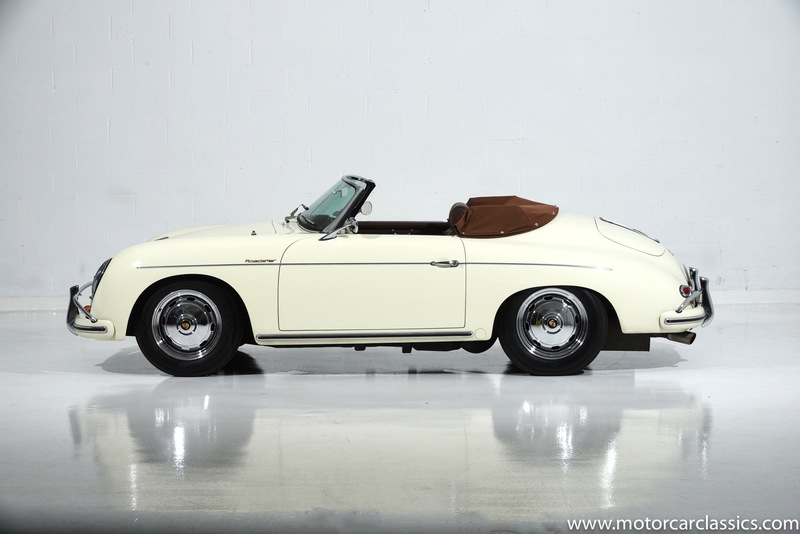 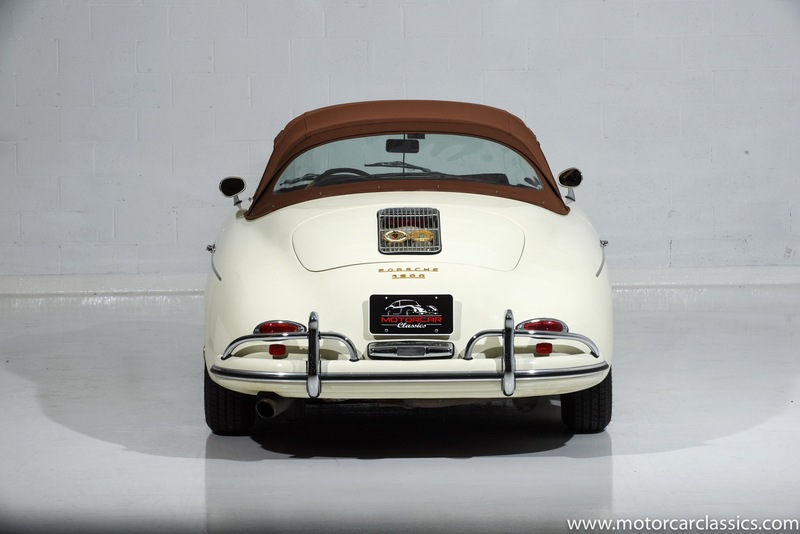 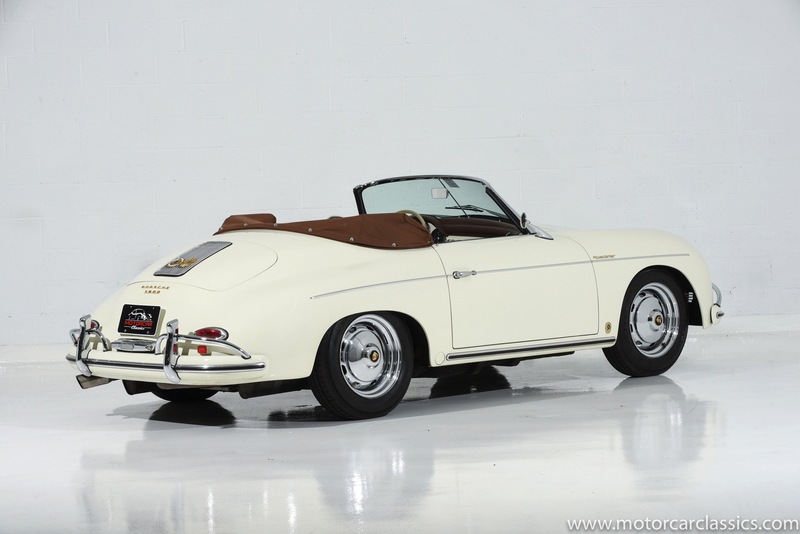 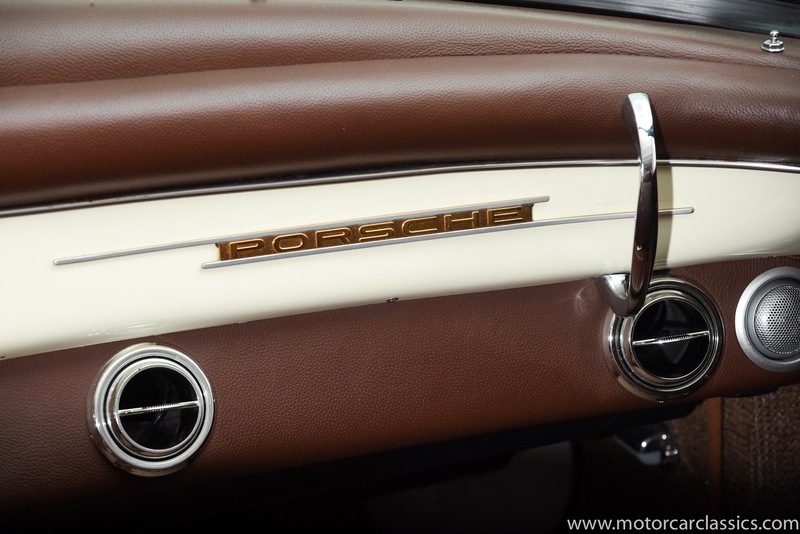 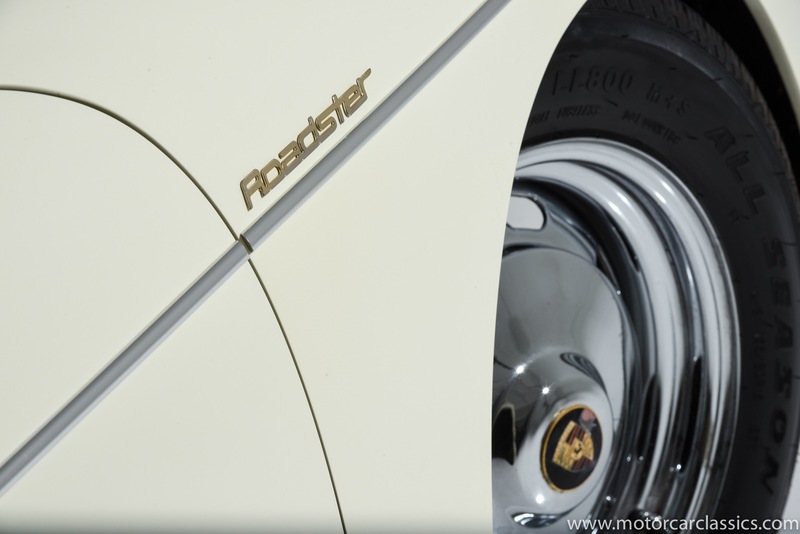 Motorcar Classics is proud to present this outstanding 1959 Porsche Convertible D Replica that was custom-built by the respected craftsmen at Intermeccanica of Vancouver, Canada. 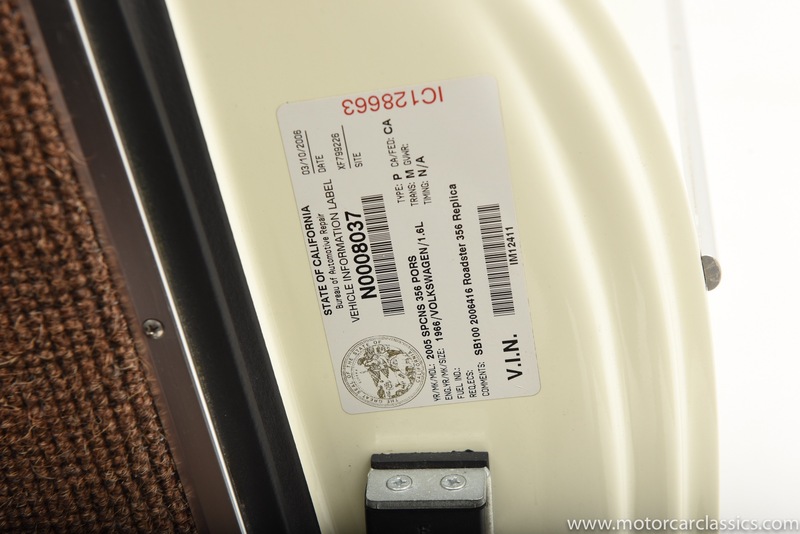 This car was built in 2004 and has covered only 7,227 miles. 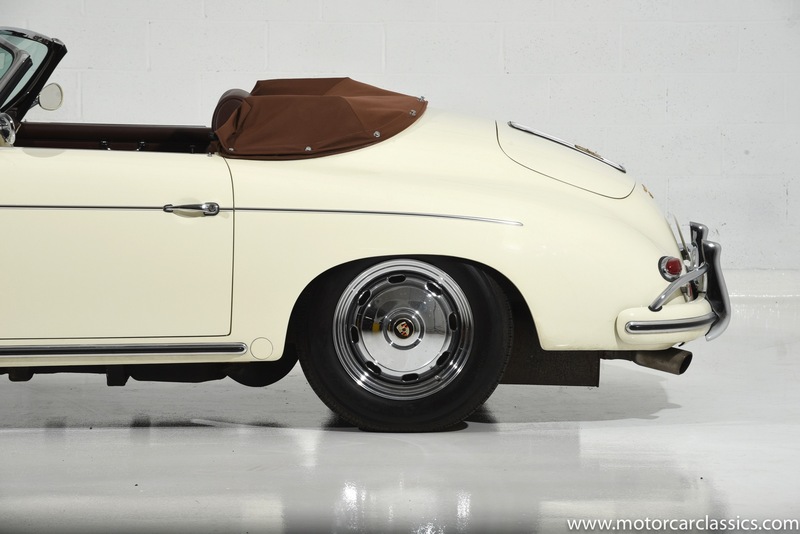 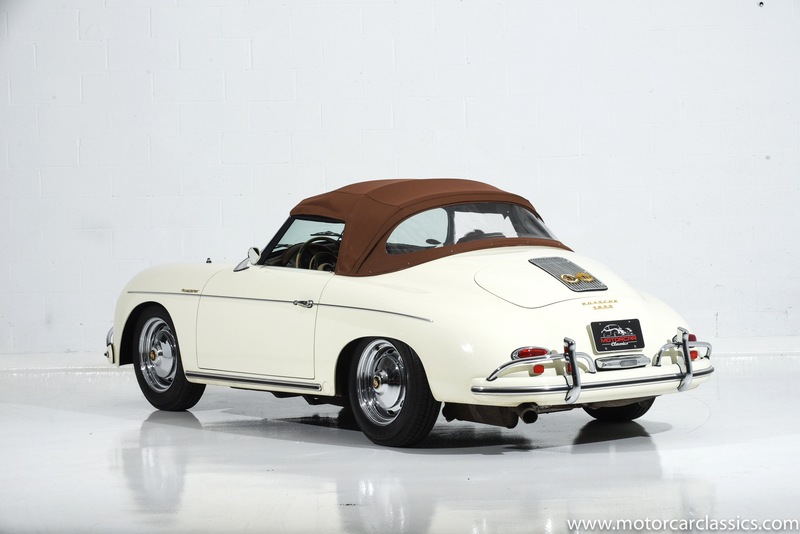 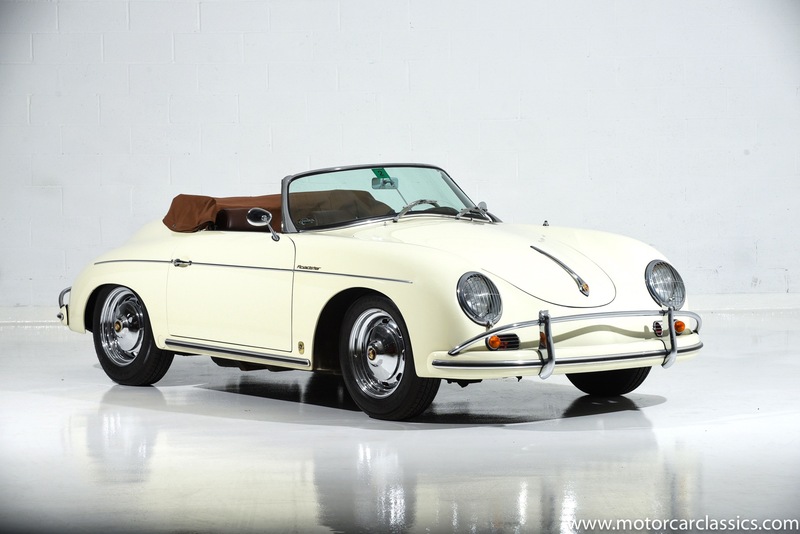 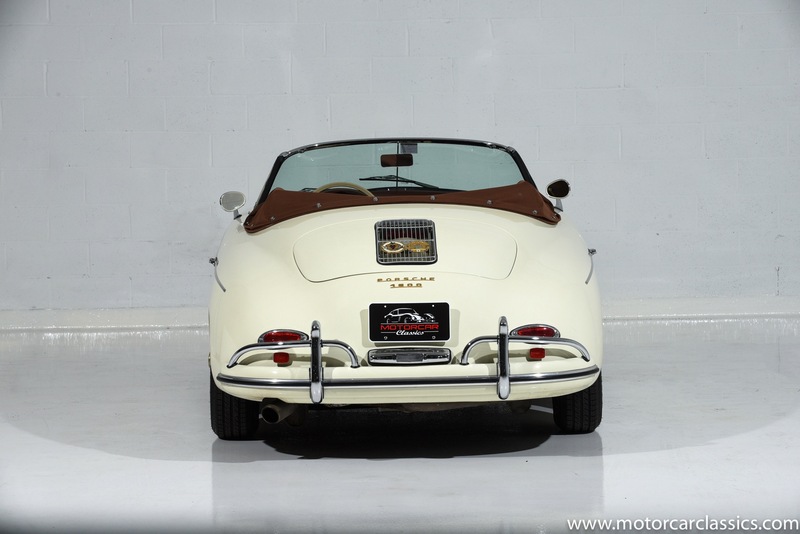 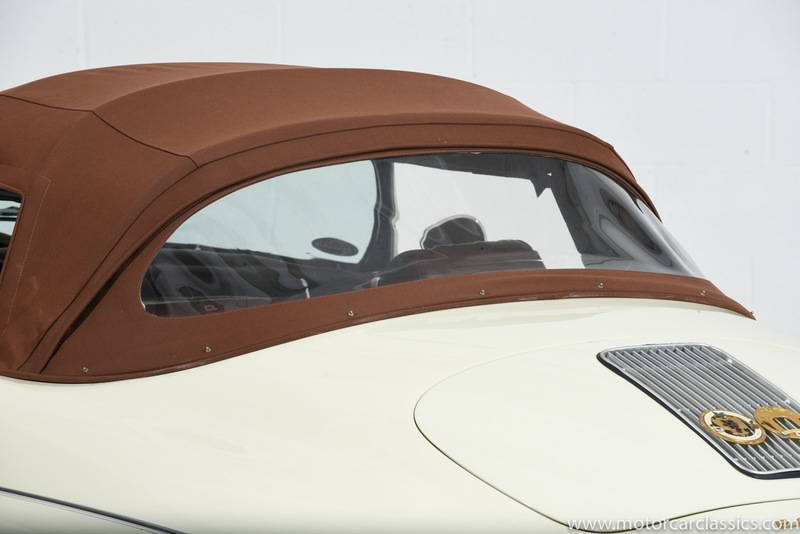 The Convertible was Porsches successor to the iconic Speedster and featured roll-up windows and a more substantial convertible top. 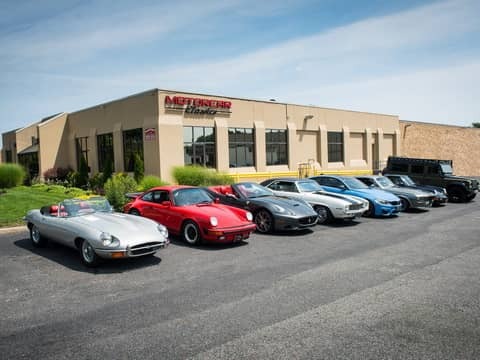 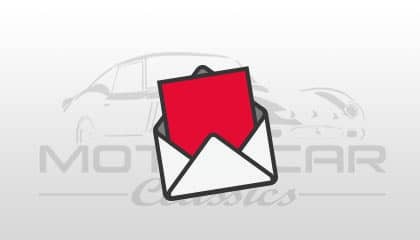 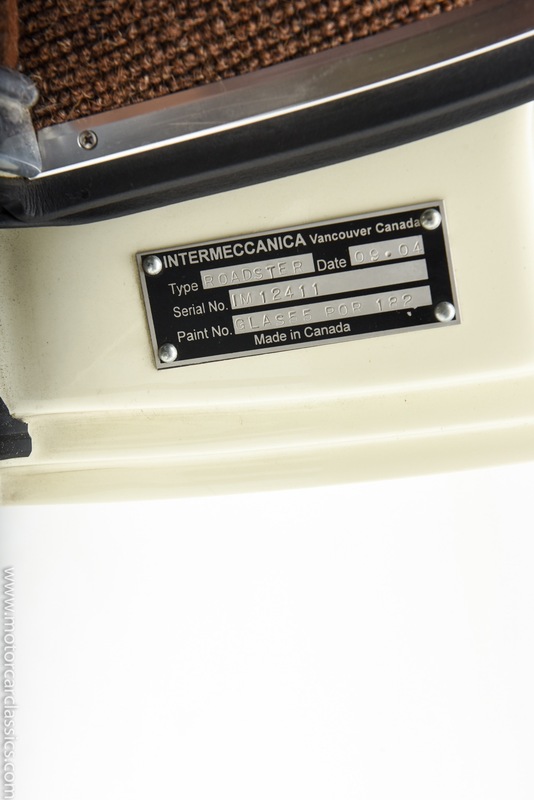 The Intermeccanica car is a faithful replica that is hard to distinguish from the original card, and is arguably better better than the original in both build quality, handling and performance. 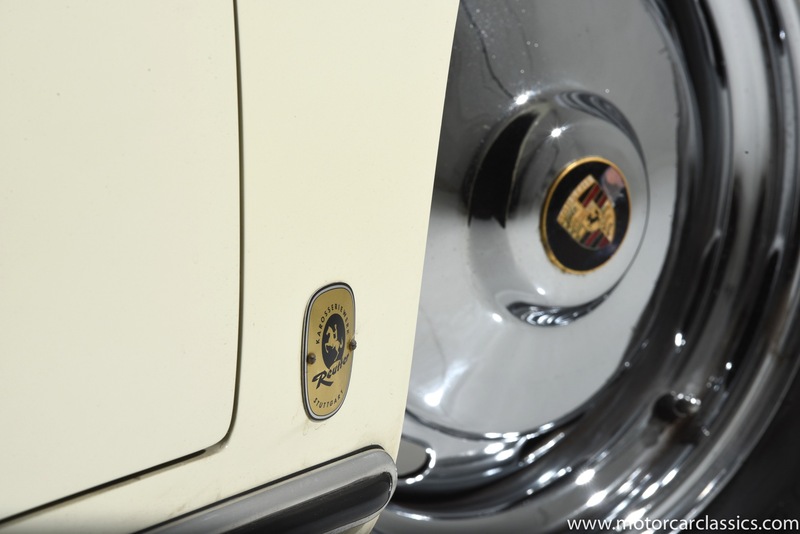 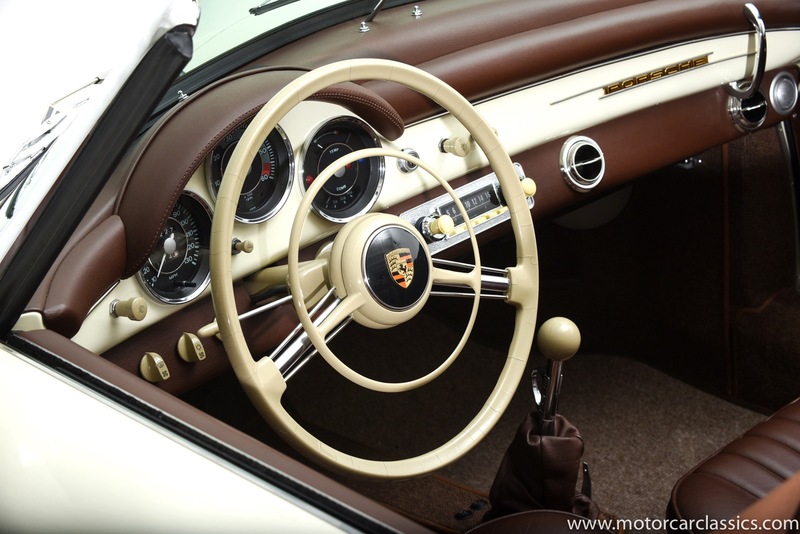 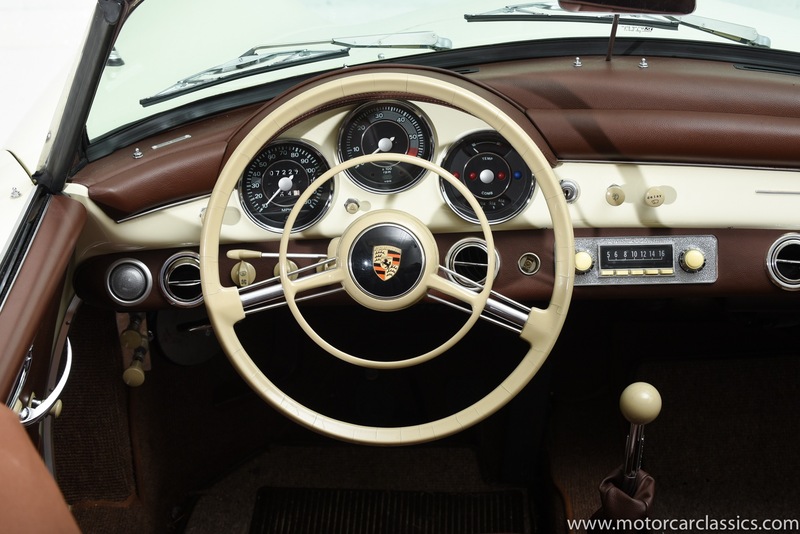 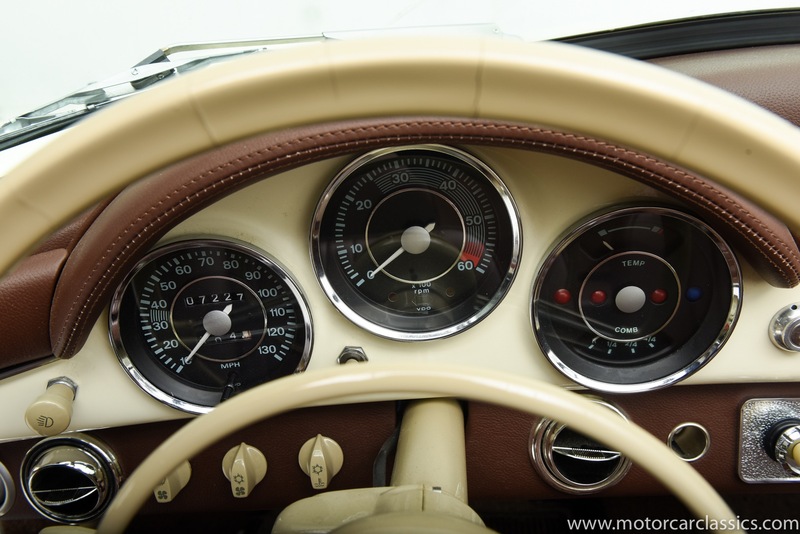 This car, in particular, is even more authentic than most with an original, period correct Porsche steering wheel and trim. 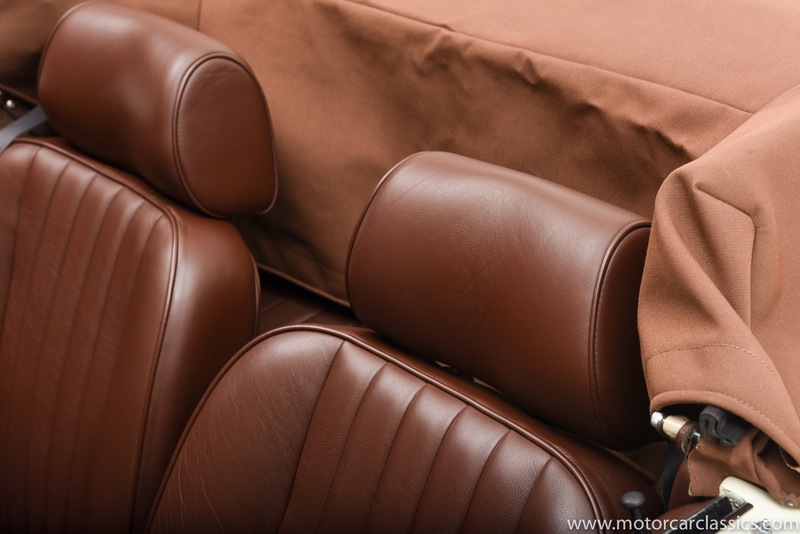 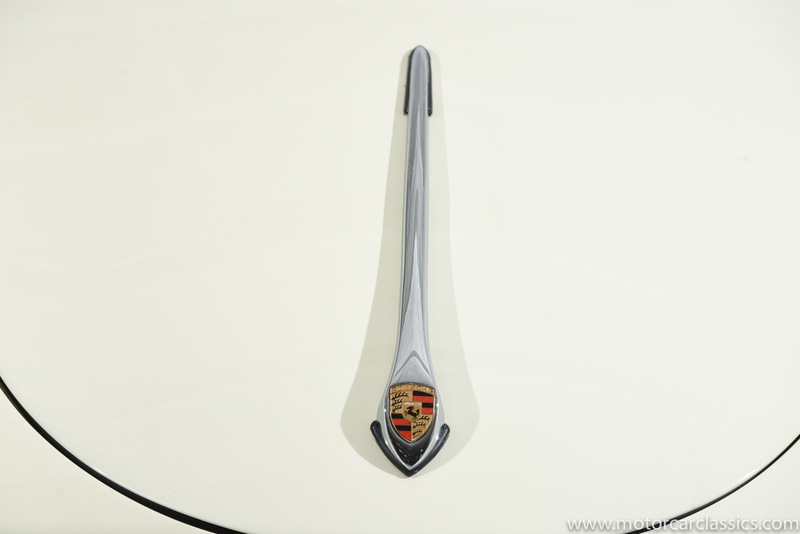 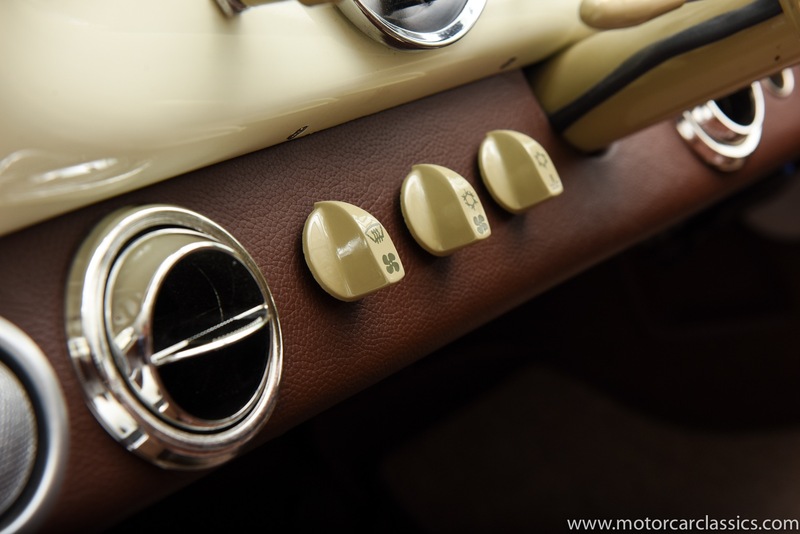 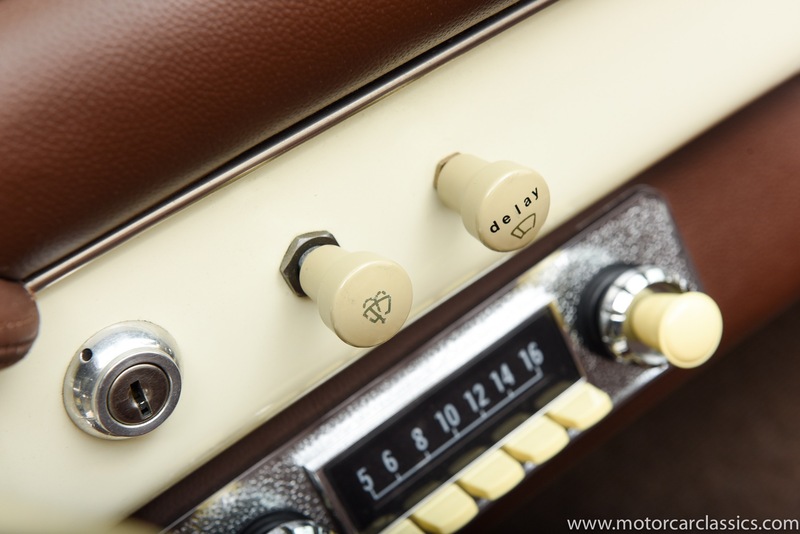 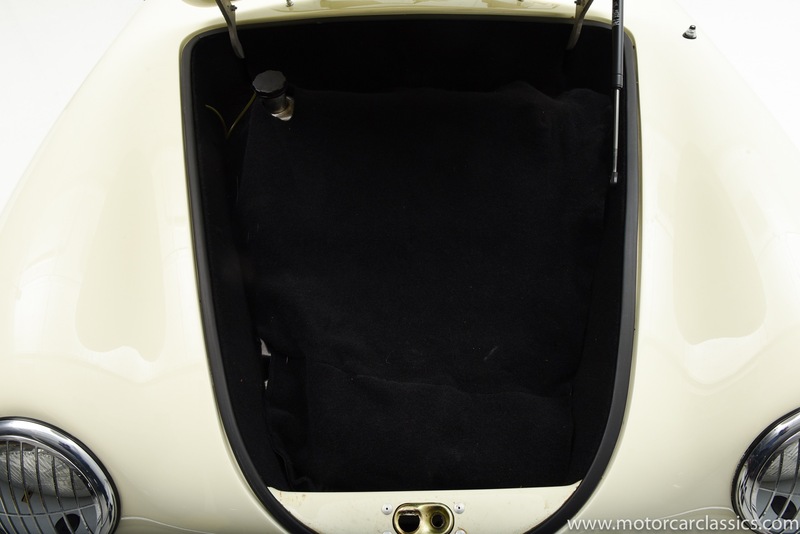 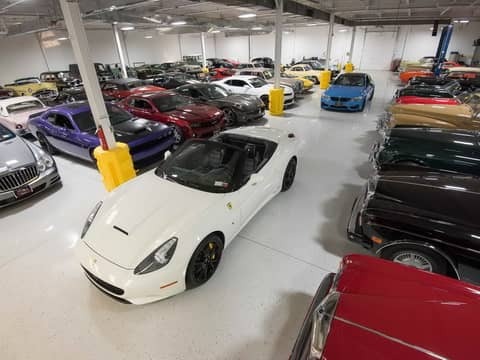 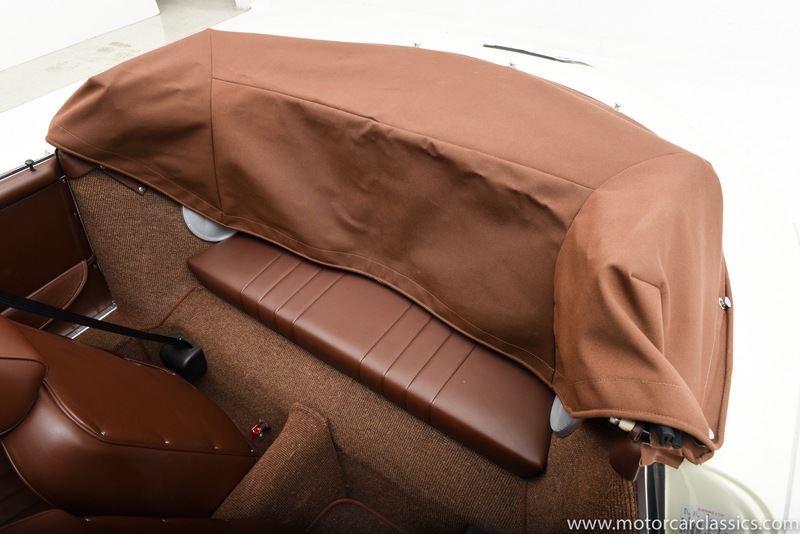 But the original convertible D would not have had AC, power windows, heated seats, interval wipers, power brakes, sophisticated audio system or many other amenities that were specified from the list of bespoke amenities available from Intermeccanica. 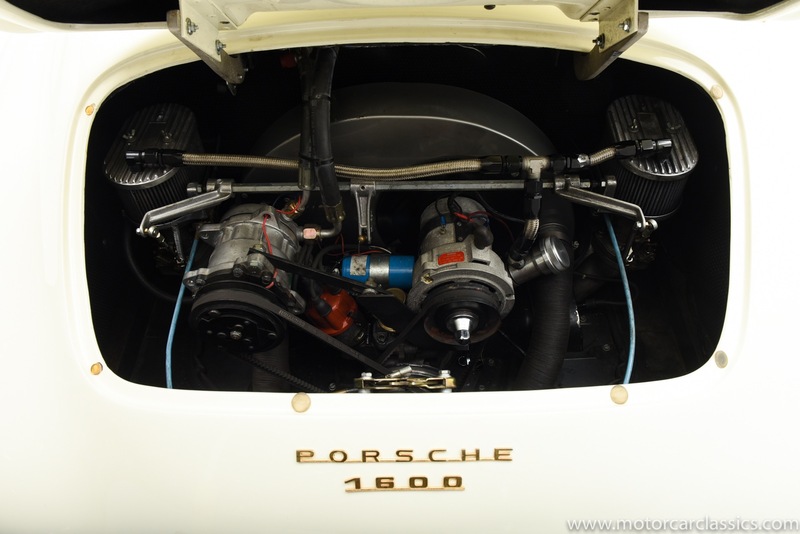 And with 146 HP on its 2100 CC engine built by CB Performance in California, this car performs and handles better than any Convertible D we have had the pleasure to drive. 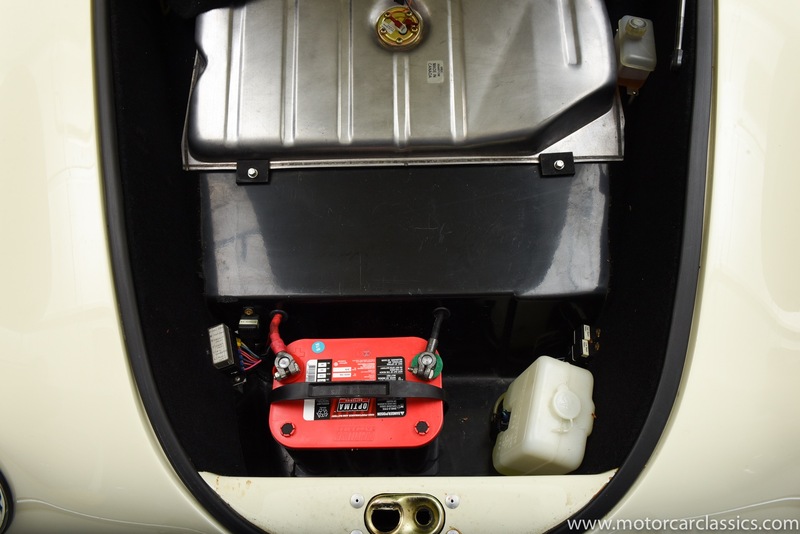 It is fully and freshly serviced and capable of daily or cross-country driving. 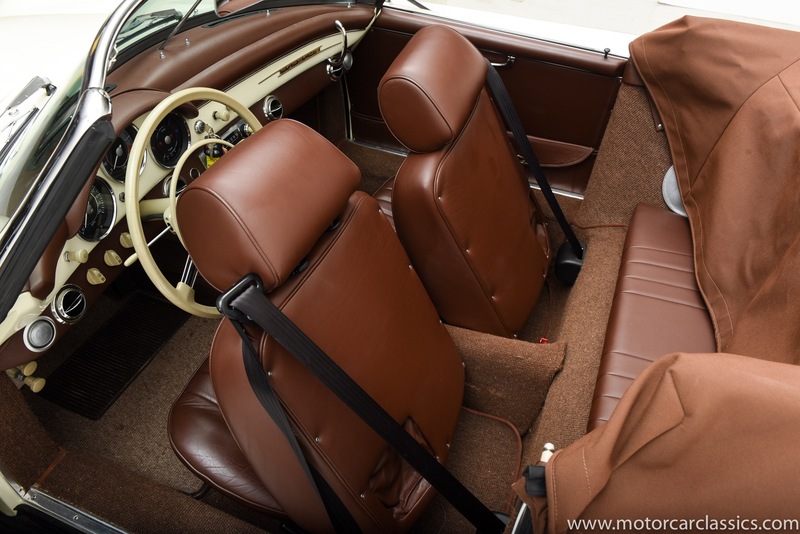 The car comes with a substantial history file including a build sheet that I offer here for your consideration. 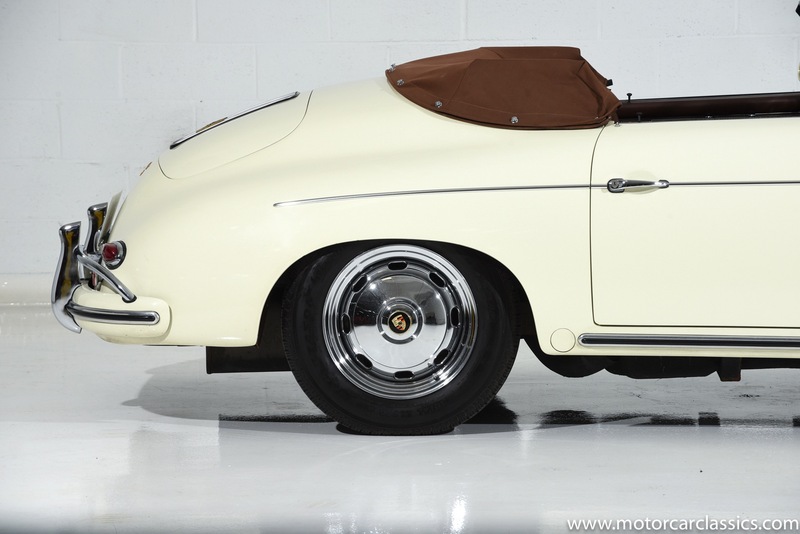 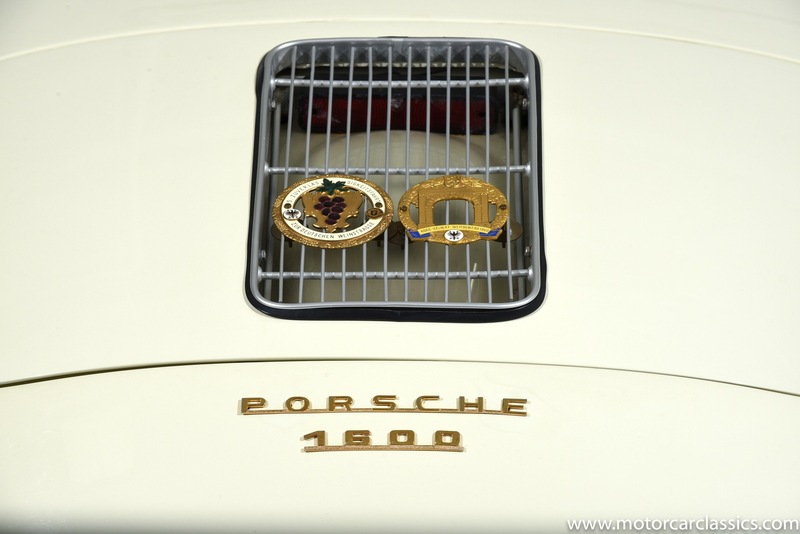 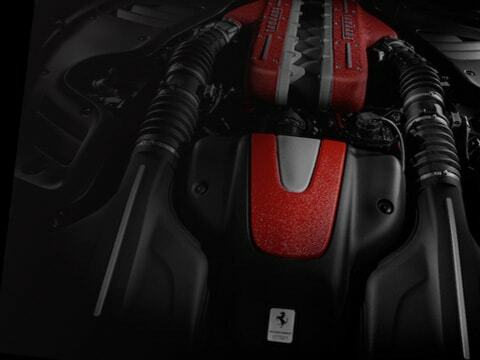 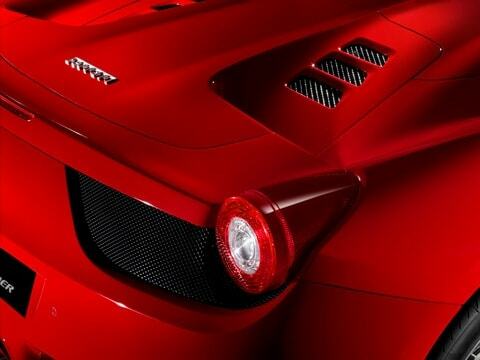 This is a most impressive automobile that will be appreciated and admired by porsche enthusiasts. 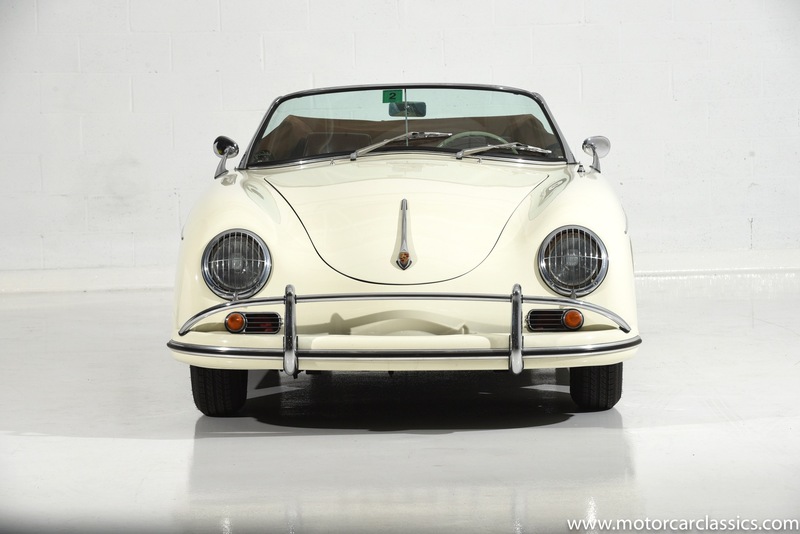 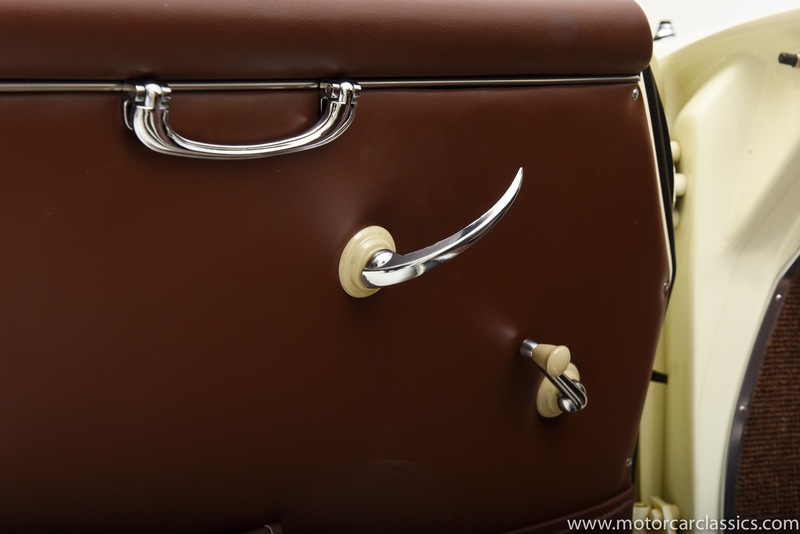 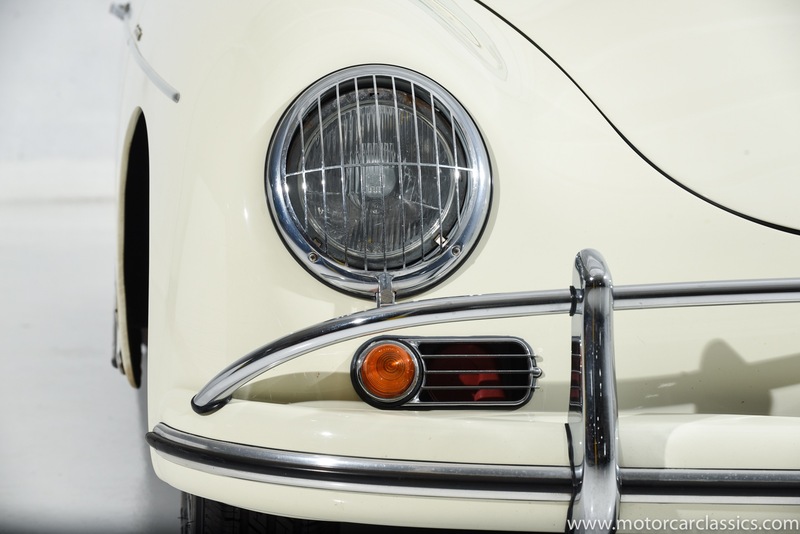 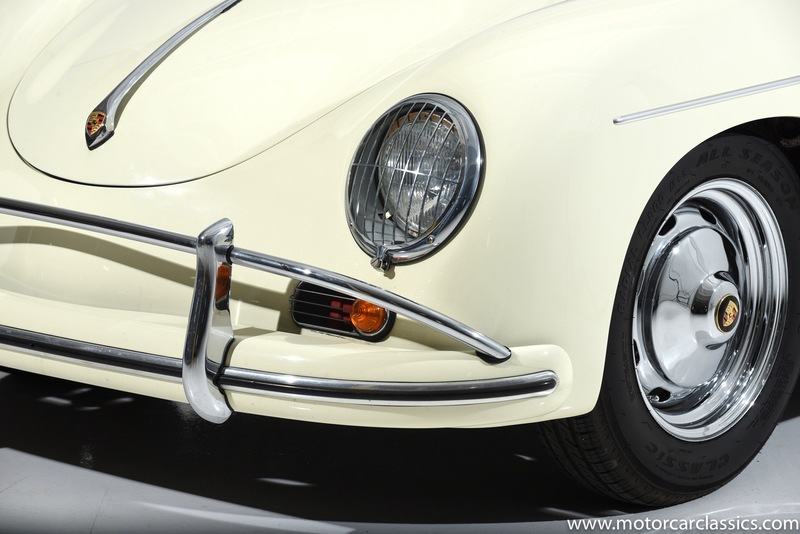 Serial No: IM12411, a custom built high quality reproduction of the 1959 Porsche 356 A Convertible "D" coach, featuring in-house designed and built tubular steel perimeter tube chassis, Canadian made one-piece composite body. 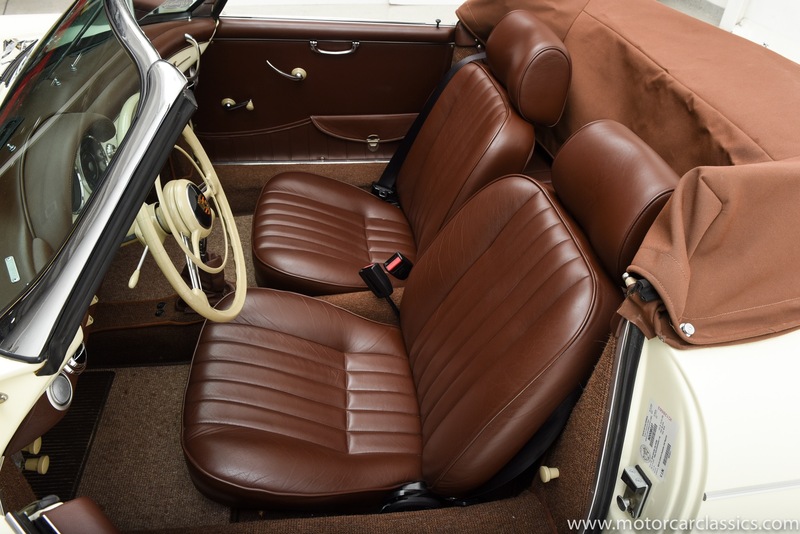 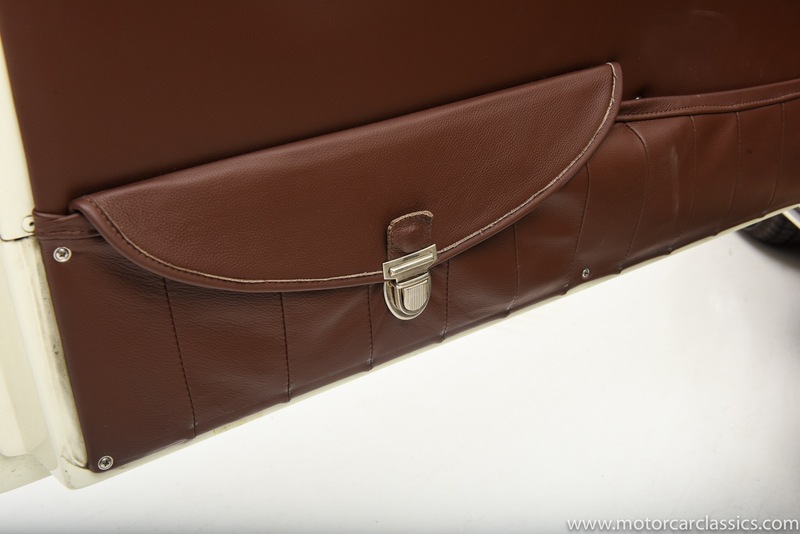 Full leather interior, approx. 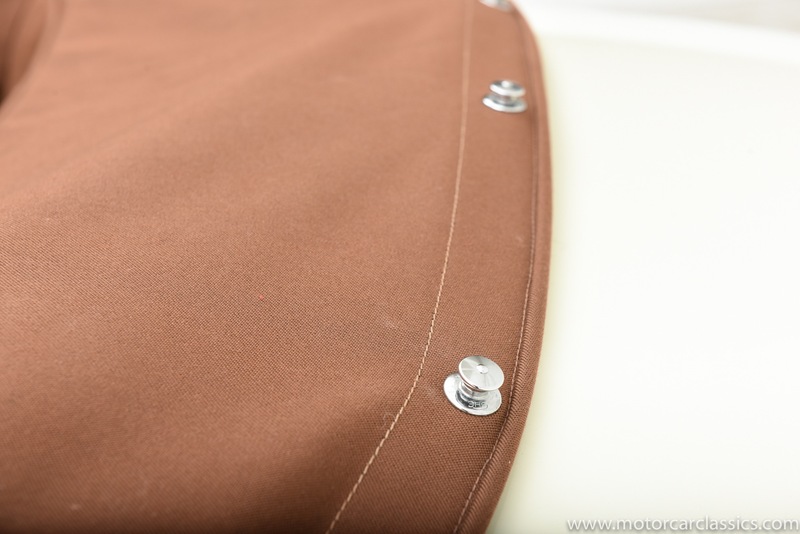 175 ft. sq.